Phil Dodd's excellent EP, Collected Shorts, is now available as a digital download. I had forgotten how much I liked this delicate and sensitively constructed collection of songs and short stories. Originally released as a CD with a booklet. When you download the digital version, you will automatically recieve a PDF. of the booklet. Bargain! 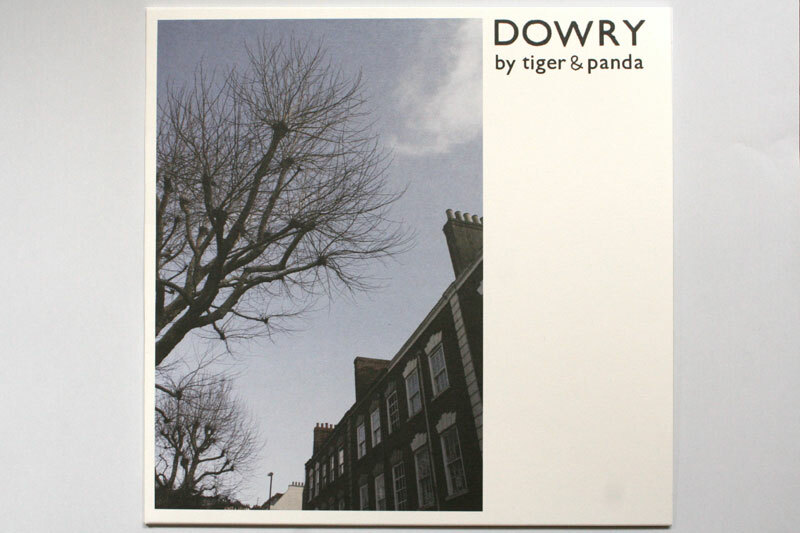 The Dowry EP by Tiger & Panda is now available to buy. You can buy it here on 10" (including free download code) or as a digital download in any format. Dowry was written as a performance piece, consisting of two medleys, in 2009 on Dowry Parade in Bristol. It was performed at the scout hut in the same year. The music and artwork for Dowry are a collection of memories from the time surrounding Olly and Henry's year living together on Dowry Parade. 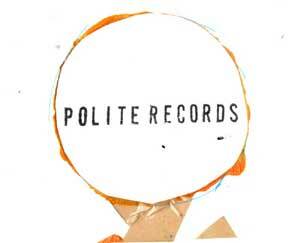 It is deliberately simple and stark in places and the two sides of the record have distinctively different atmospheres. Side One is accompanied by a drum machine and has a pop atmosphere, which darkens as you reach the end of the side, while Side Two has a more natural blending of guitars and is more energetic. 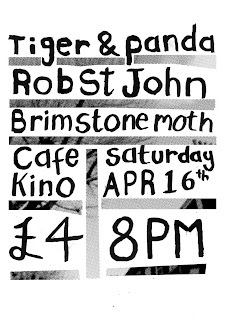 Our good friend Steve of excellent Bristol record label Stitch-Stitch, has kindly organized a show for us at Cafe Kino on Saturday the 16th of April. 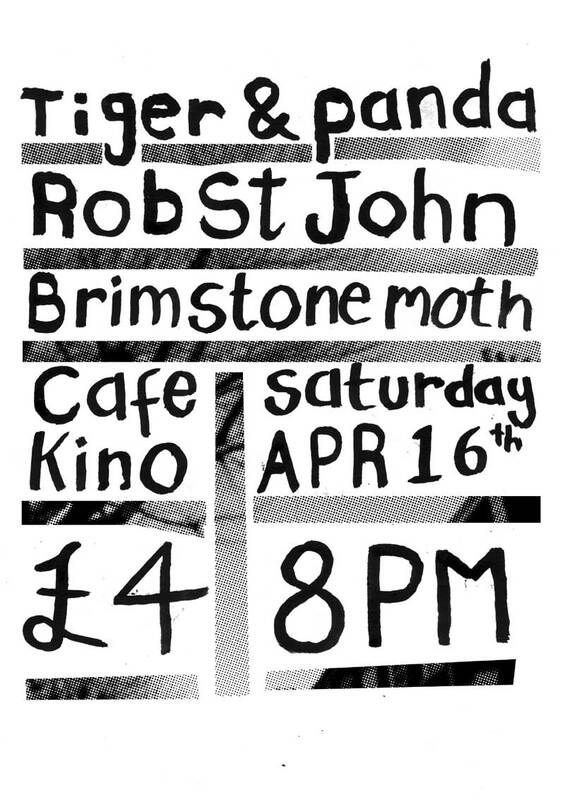 Tiger & Panda & Ox will be playing with the excellent Rob St John and Brimstone Moth. 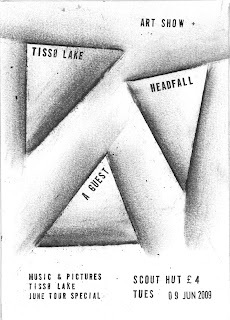 Back in June, we put on the Bristol show for Tisso Lake's June tour. They were great, as were Headfall, who played loads of new songs.